Kano (Nigeria), 1st February 2019. The Commission of the Economic Community of West African States (ECOWAS) has carried out a stock rotation exercise of 5,000 Metric Tons (MT) of food grains from its Regional Food Security Reserve by availing it to the Federal Republic of Nigeria on 31st January 2019 in Kano, Nigeria. The stock rotation is part of a normal management cycle of the stocks of the Regional Food Security Reserve which allows the Commission to replace old stocks with new stocks on a regular basis to ensure that they are permanently of good quality and safe for consumption. The Commission did a similar rotation exercise with 2,750 MT of the Regional Food Security Reserve food grains in Ghana last December. The Government of Nigeria has committed to replacing the stock of 5,000 MT which was made available to them, grain by grain with the same quality specifications and packaging to further strengthen their partnership with the ECOWAS Commission. Like the food grains availed for the Governments of the Republics of Niger, Burkina Faso and Ghana in 2018 (6,528 tons to Niger, 4,303 tons to Burkina Faso and 2,750 tons to Ghana), the grains that were availed to Nigeria for stock rotation were all purchased from small producers of the West Africa region. The Commissions’ Commissioner for Agriculture, Environment and Water Resources, Mr Sekou Sangaré, who handed over the stock to the representative of the Nigeria’s Minister of Agriculture and Rural Development on the behalf of the President of the ECOWAS Commission, Jean-Claude Kassi Brou stated that the development of food security storage assists the three complementary levels of community and village stocks, national security stocks and regional stocks, thereby allowing West Africa to strengthen its capacity for risks management and boost food security. On behalf on the Nigerian Ministry of Agriculture and Rural Development, Mr. Haruna Sule, the Director of Food and Strategic Reserve (FSRD) reiterated the government’s commitment to support strong relations between Nigeria and the Commission as well as Member States to ensure food security in the region. 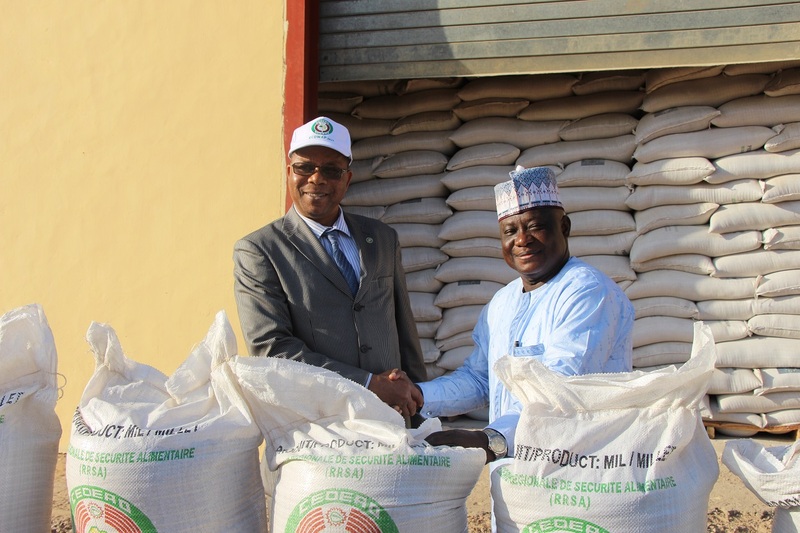 “Nigeria, through the Federal Ministry of Agriculture and Rural Development, remains committed to replacing the donation grain for grain to the ECOWAS Regional Stocks by the end of June 2019” he said. 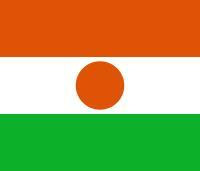 Created on 28 February 2013, in Yamoussoukro, Côte d’Ivoire, by the ECOWAS Heads of State and Government during their 42nd Ordinary Summit. The Regional Food Security Reserve aims to complement the efforts of the Member States to provide rapid and diversified food and nutrition assistance, express regional solidarity to Member States and affected populations through transparent, equitable and predictable mechanisms, contribute to food sovereignty and to the political, economic and trade integration of West Africa. 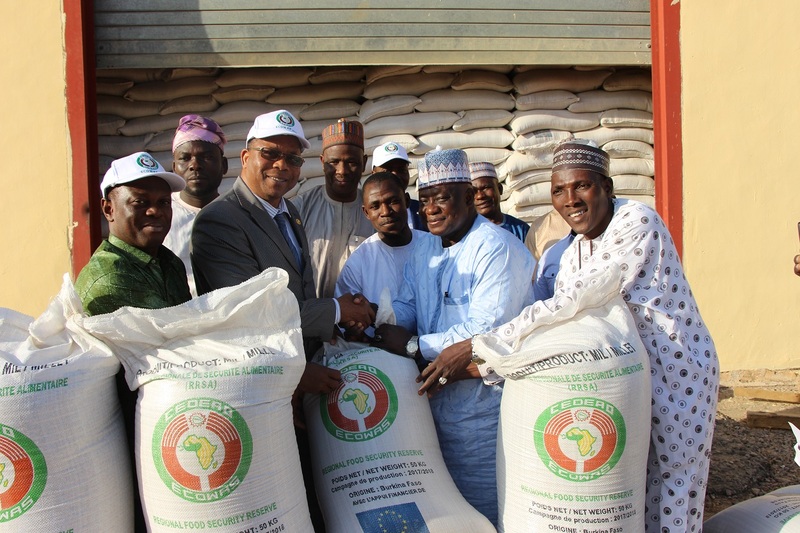 The handover-ceremony was made possible by the support project to food security storage in West Africa being funded by the European Union (56 million Euros).